House no 21 on the 1911 census was the residence of another member of the R I C barracks next door, to the east. 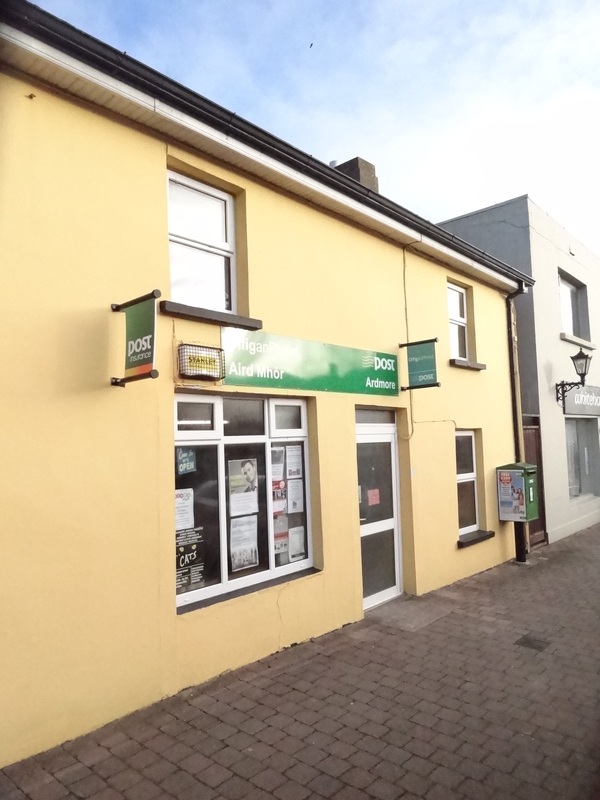 This building is the current Post Office in Ardmore.In this instance the Head of the house Hannah Lee did not list her occupation; her husband John Lee was a native of Co. Cork and Hannah was a native of Co. Wicklow. John was an RIC constable in 1911 and his pension records show he retired a sergeant in 1922 with an annual pension of £195.